As you’ll know from reading virtually any article around sports injuries in recent years, Chronic Traumatic Encephalopathy — more commonly known as CTE — is a degenerative brain disease caused by concussions and head injuries. It’s an affliction that particularly plagues the NFL, although the league’s leadership rather conspicuously prefers not to acknowledge the extent of the problem. Still, litigation is occurring at every level of the sport, including high school and youth leagues. Despite the wide range of potential ramifications — from potential cures with cannabis to links between the disease and acts of violence — medical researchers have struggled to find funding. This is perhaps partly explained by the public’s general ignorance of the topic: Outside of sports coverage and the 2015 film Concussion, the condition has gained very little cultural awareness. 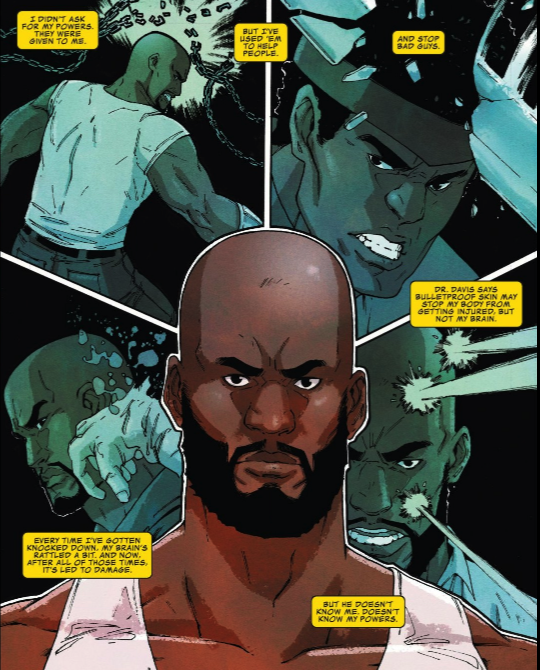 Enter Anthony Del Col, best-selling author and comic book writer, who, in a creative twist, has introduced CTE as the ultimate supervillain foe in his current title, Luke Cage: Everyman, which is digitally available at Comixology and Marvel Unlimited now. (A print edition will be released in November.) 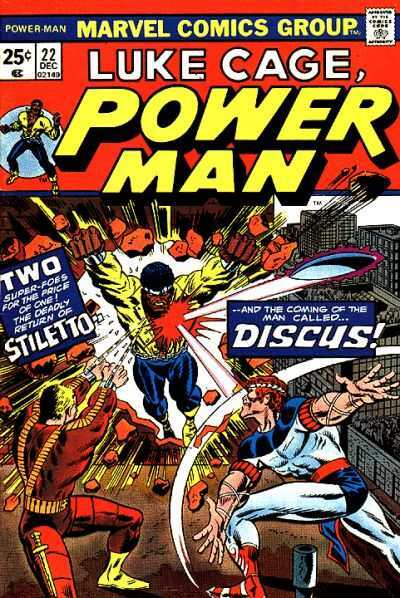 I recently spoke to Del Col about CTE, the NFL and how the character formerly known as Power Man became the perfect vehicle for such a story. I think this is the first time I’ve seen CTE being covered by mainstream pop culture (outside of sports media and the Concussion movie, of course). Why does the issue resonate with you? I want to shed some light on this disease and the fact that it’s not just football players with CTE, but possibly veterans, soldiers and others, as new research suggests. As far as research has come, one isn’t able to be decisively diagnosed with CTE until they pass away. So someone may have it right now, and can’t be diagnosed with it until they die, which is pointed out in the comic. Not everyone acknowledges that CTE even exists — a lot of people are in denial. I’m not a huge football fan, but as a huge sports fan, I thought it was something very topical. There’s so much evidence and proof that CTE actually exists, and you have people who run their football companies, and in the NFL, who are in denial — that just boggles my mind. Are you hoping it will help bring the conversation to a wider audience? My answer is an emphatic yes. If I can get one person to become more knowledgeable about CTE and allow them to reconsider their stance, or try to make a change or impact in football, then I feel that this series will have been a huge success. It’s important to make comics and tell superhero stories that are as relevant as possible to what’s happening today. Make them politically and socially relevant, while still being entertaining and not preachy. This is a disorder that some people are trying to cover up and that needs to stop. We need to stop making it the “football concussion” syndrome and realize that it affects other people, like soldiers. Do you think creatives in other industries should be looking to push this conversation, too? It’s an obvious answer, but it should be explored everywhere and in all mediums. I would love to see a long-running television series introduce a character that deals with it — it’s not pretty or glamorous, but to see someone start to deal with the symptoms over a number of years would be interesting. The problem, of course, is that no one can officially be diagnosed with the disease until they’ve passed away, but with more awareness comes a greater push for research into it, and perhaps in the next decade we’ll figure out an iron-clad way to diagnose the disorder while a person’s still alive. 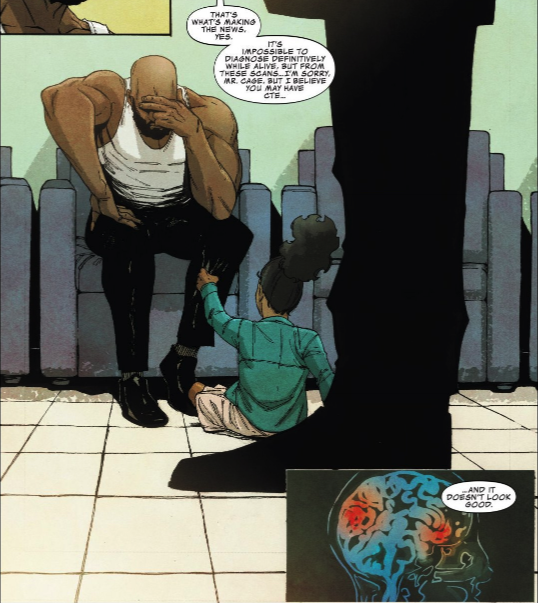 Of all Marvel’s characters, what made you decide that Luke Cage was the right vessel for a story tackling CTE? 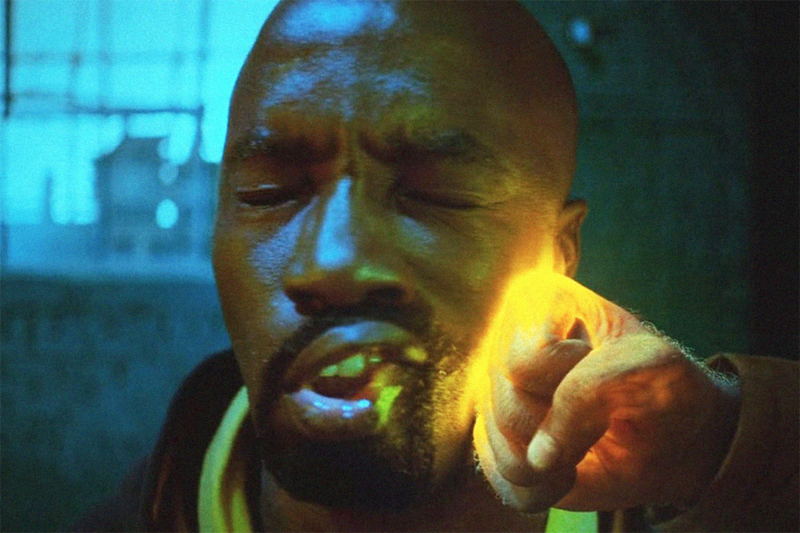 With Luke Cage, you have someone with unbreakable skin, a bulletproof exterior. From a physical perspective, he’s nearly invincible. But then I realized, physically you can’t defeat him, but what about neurologically? Or something on the inside of him? Then it clicked — that’s when CTE came to me. [I realized] that would make it relevant, and I got super excited. It was the worst-case scenario, and that’s what I try to do for a character — find something they can’t control at all. This was the ultimate challenge for him. Luke is one of my favorites because he’s a street-level hero in the Marvel Universe — it makes him and a few other characters like him even more relatable. There’s an aspect of him being working class, as well — plus most of the NFL players who have CTE are African American, since most [players] are African American. It may be wrong or engaging in stereotypes, but I would associate CTE mainly with people from low- or middle-class income backgrounds. Again, I may be wrong in doing so, but most of the people who are susceptible to the disorder are actually soldiers, and I generally associate troops coming from that sort of background. For me and this project, I really wanted to focus on the class system. Luke Cage to me has always been someone who fights on behalf of the lower-class of Harlem first — those who have difficulty making ends meet and are often kept down by the system. There were other aspects of Luke that I could tie into the story to further explore who he is as a character, too — we want to explore the emotional impact of living with the knowledge that he may have this affliction: How is this going to affect his life moving forward? How will this affect his status as a husband and as a father? What is he going to be like a year down the road? Six years down the road? Or even 20 years down the road? We have this six-issue arc, fraught with death and action during this heat wave in Harlem. You’ve said that Harlem — Cage’s usual stomping ground — is a major character in this book. How conscious were you of getting that right, not being a New York native?